if you followed our road trip adventures last summer, you probably saw a few pictures from our photo shoot at The Real Up House. yes!!!! 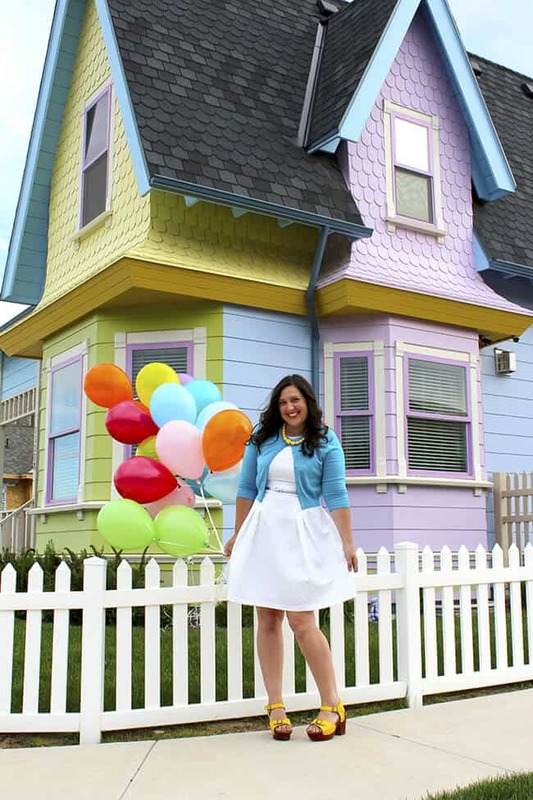 there is a real life UP House, a replica of Carl and Ellie’s colorful house from Disney’s movie UP. it is located in Herriman, Utah, just south west of Salt Lake City. 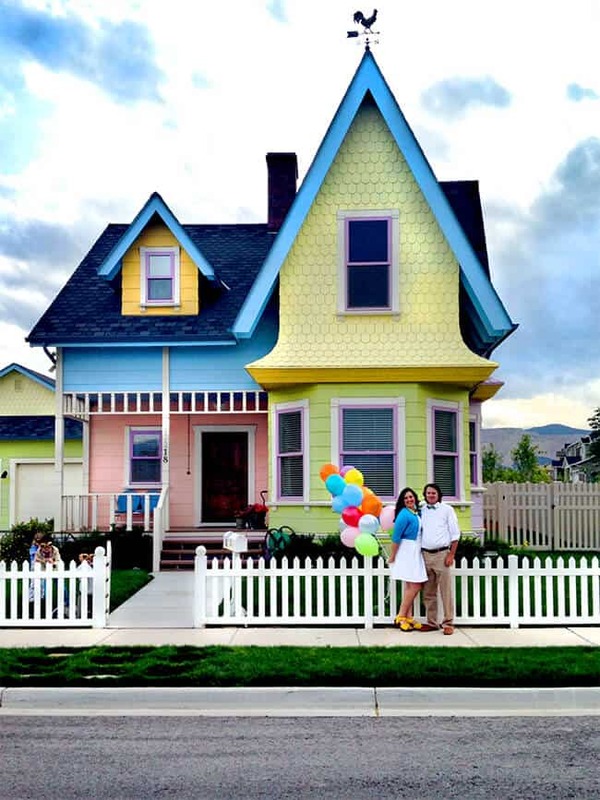 i had seen the The Real UP House in the news a few years back, and when our road trip route was planned to go through Utah, i was determined to have a family photo shoot there. i knew this would be a special opportunity and also a fun way to remember our road trip, so i made sure to bring Disney bound inspired clothing for the whole family to capture the moment perfectly. seeing The Real Up House in person was magical. the architecture, every detail and the colors, are perfect. you feel like you are in the movie. just looking at it puts a smile on my face, it was such a fun and unique experience. 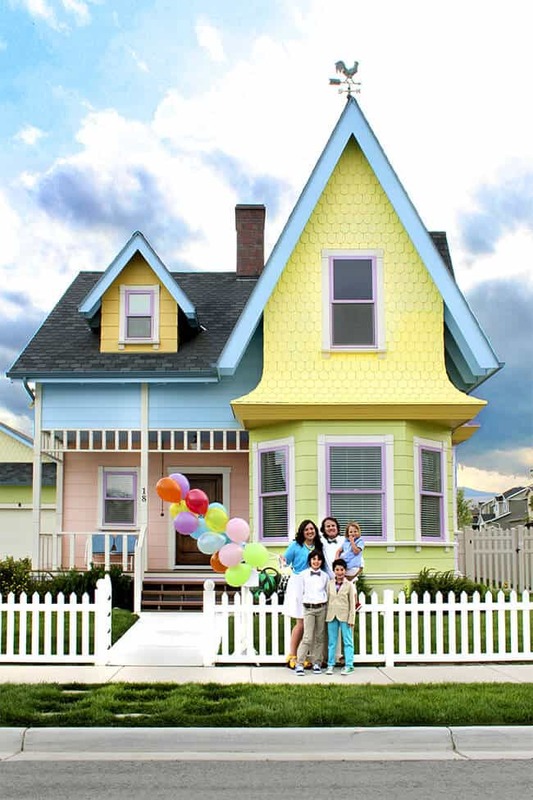 a family owns and lives in The Real UP House, so if you want to have a photo shoot at the home, you need to make an appointment and sign waivers. 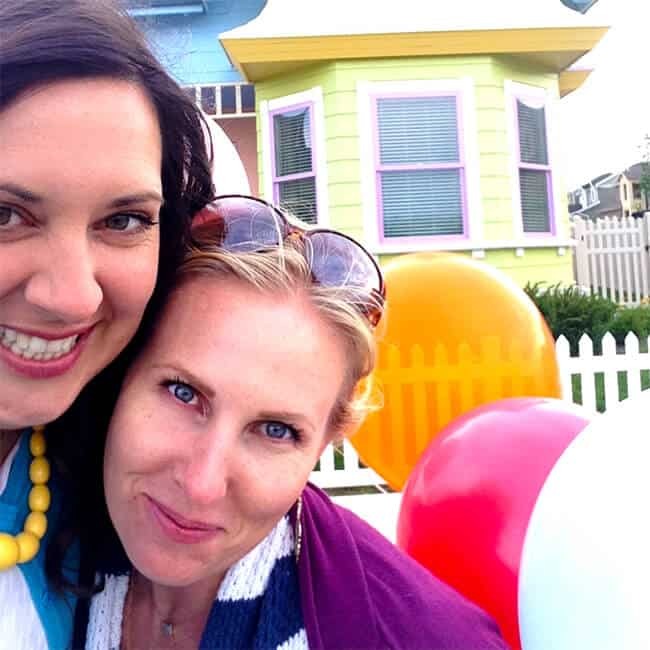 there is a small fee to use the outside of the house in your photos. 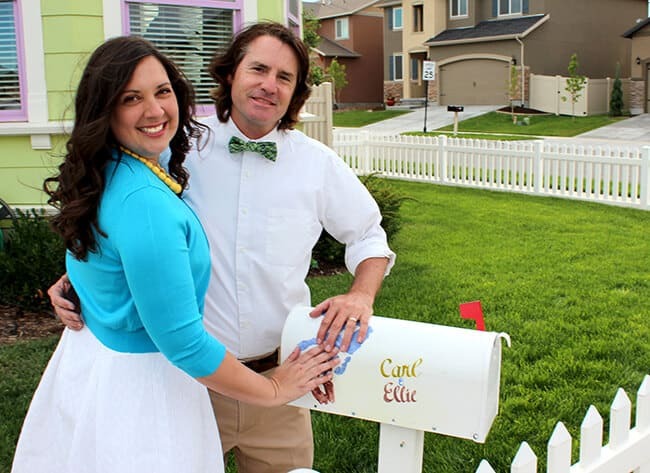 it costs more money if you want to take photos on the inside…which is also decorated just like the movie….with Carl and Ellie’s furniture and decor! the homeowners also have props that you can rent to enhance your photos. if all that you want to do is drive by and snap a photo with your phone, there is no charge. but i highly recommend doing a photo shoot, even a mini shoot. you will be so glad you did. and DON’T FORGET TO BUY BALLOONS! 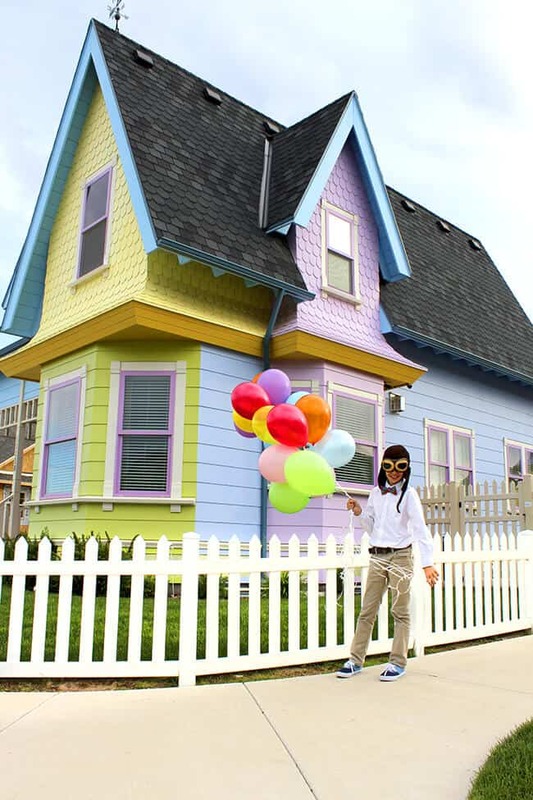 you can’t take pictures at the Real UP House without balloons, they add so much to the photos….it is so worth it when you get adorable photos like these. 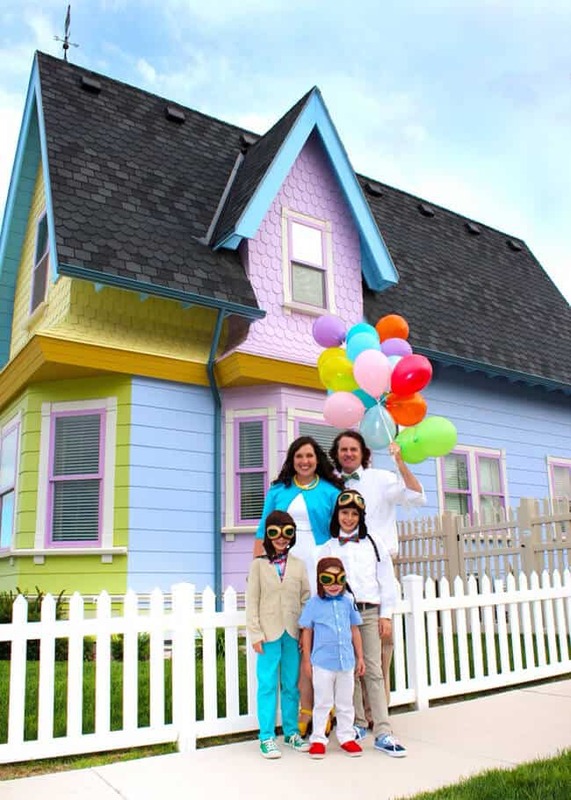 with the chaos of getting ready for our road trip, i was able to set up and book a photo shoot with The Real Up House, but unable to secure a photographer because i wasn’t certain what day we would be near Harriman. luckily, my brother was in Utah at the time, and him and Lynette (the home owner who is wonderful) were able to help capture photos of our family. the photos aren’t “professional”, but i love them and they are a fun memory of our popsicle adventure. as so did my husband and i.
we took photos around every angle of the house, and got some great colorful shots. i couldn’t have asked for a more perfect way to capture our family and the adventure we were on. the quote “Adventure is Out There” truly described this amazing road trip we were on. i couldn’t leave without snapping a selfie with the UP House homeowner, Lynette. she is a wonderful person and we connected instantly. 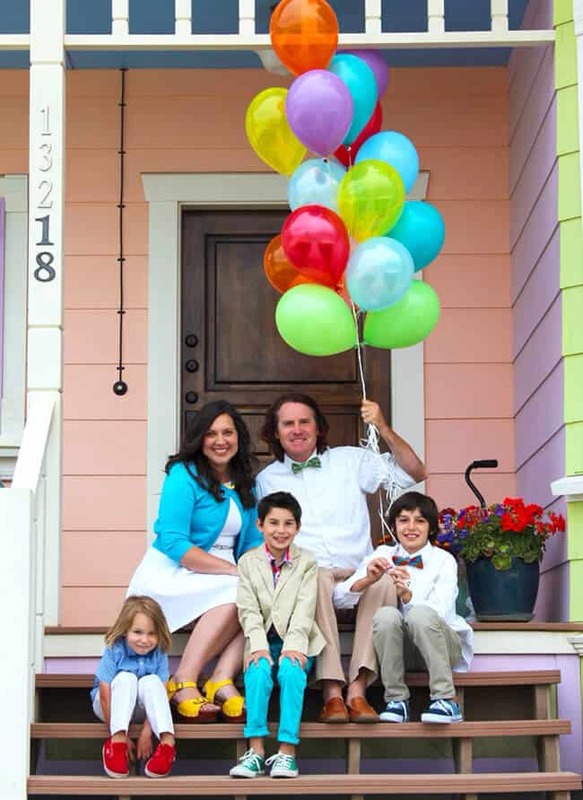 she has a wonderful story about how they became the owners of The Real UP House, and if you follow the Disney Blogs, you might recognized her as one of the Disney Mom panelists. also, be sure to check out her Disney inspired art pieces that she sells on The Real Up House website, they are pretty cool. out of all the destinations on our trip, this was one of the ones i was most looking forward too. i love Disney so much, and the movie UP. also, i love bright colors, and have been dreaming of taking these photos for the longest time. it was sad to leave when our photo shoot was over, but we had to continue our adventure. 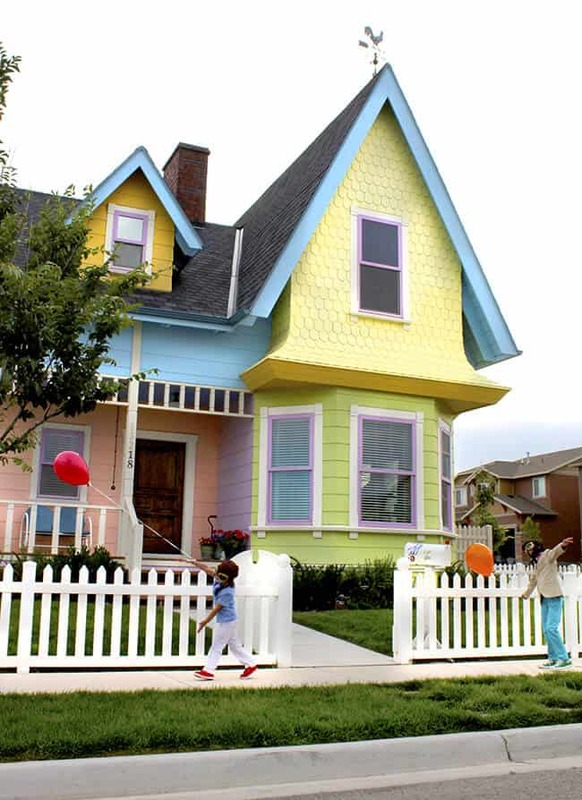 i know that the next time we drive though Utah, The Real UP House will be on out list of destinations. i hope that it is on your list too! 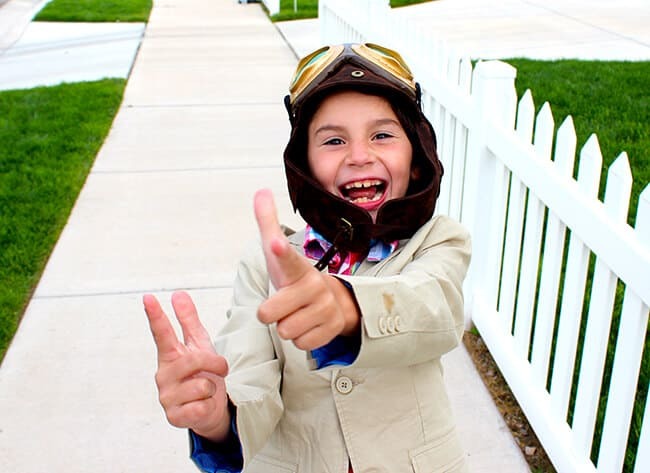 How cute and fun! I would love to take my kiddos to see this! I love the movie Up and my daughter’s name is Ellie!